By definition, traumatic injuries are those injuries which are caused by some type of trauma or blunt force to the body. They are usually treated in the emergency room by well –trained, board certified emergency room physicians. Although it is obvious that the health care provider is not responsible for causing the trauma, these injuries frequently give rise to medical malpractice actions for the treatment, or lack thereof given to patients suffering traumatic injuries. Many such cases arise by either the failure to properly diagnose and treat the traumatic injury or a delay in rendering treatment which then leads to permanent consequences. With many traumatic injuries, time is of the essence in identifying and treating the condition. Paralysis, death, and organ or limb failure are just a few of the bad consequences that can flow from a delayed treatment of certain traumatic injuries. 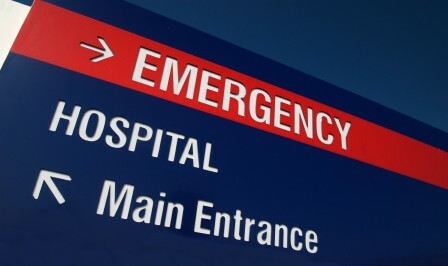 Most urban emergency rooms are staffed with board certified emergency physicians. However, many rural hospitals employ family practice physicians and physicians from other specialties due to the unavailability of board certified emergency physicians. The standard of care for treating patients in the emergency room does not differ depending on the location. In other words, if a family doctor chooses to treat patients in the emergency room, he or she will be held to the same standard of care as a board certified emergency room physician. Staffing of nurses and the number of available emergency room physicians can also present major problems in treating patients according to the correct standard of care. If a patient is not properly triaged to determine the severity of a traumatic injury, valuable time and treatment options may be lost. Over-worked physicians and nurses also lead to careless mistakesIn sum, there are many issues which may arise in the emergency room which impact the successful recovery of a patient suffering from a traumatic injury.